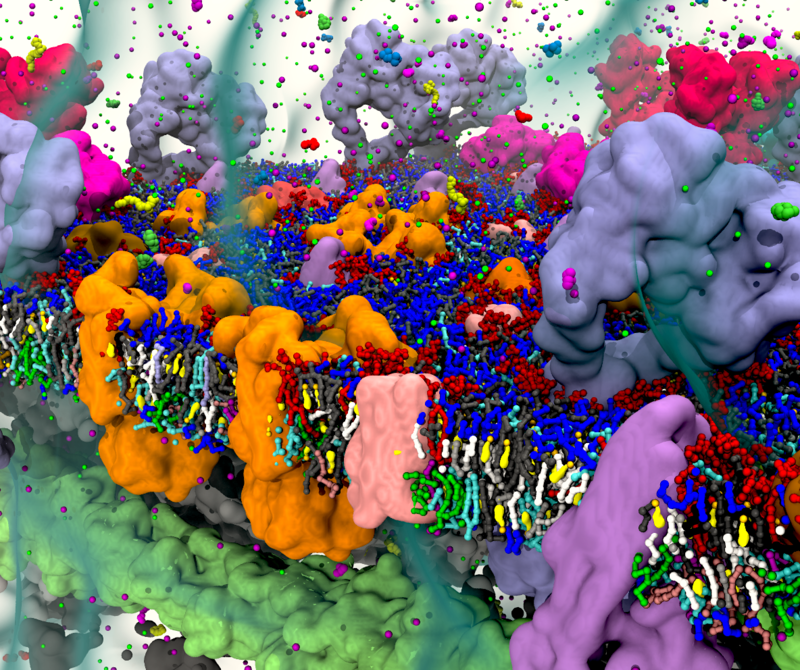 Together with several co-authors, we wrote a comprehensive review (>700 references) on computer simulations of cell membranes. In this field, we are witnessing a transition from simulations of simpler membrane models to multicomponent systems, culminating in realistic models of an increasing variety of cell types and organelles. Here, we review the state of the art in the field of realistic membrane simulations and discuss the current limitations and challenges ahead. Ions are known to be tricky when it comes to molecular dynamics. A new polarizable model has been proposed which should have improved behaviour for highly charged models such as DNA and polyelectrolytes. The authors recommend its usage in combination with the refPol forcefield for Martini for best behaviour. We gladly announce the release of the open beta version of MARTINI 3. 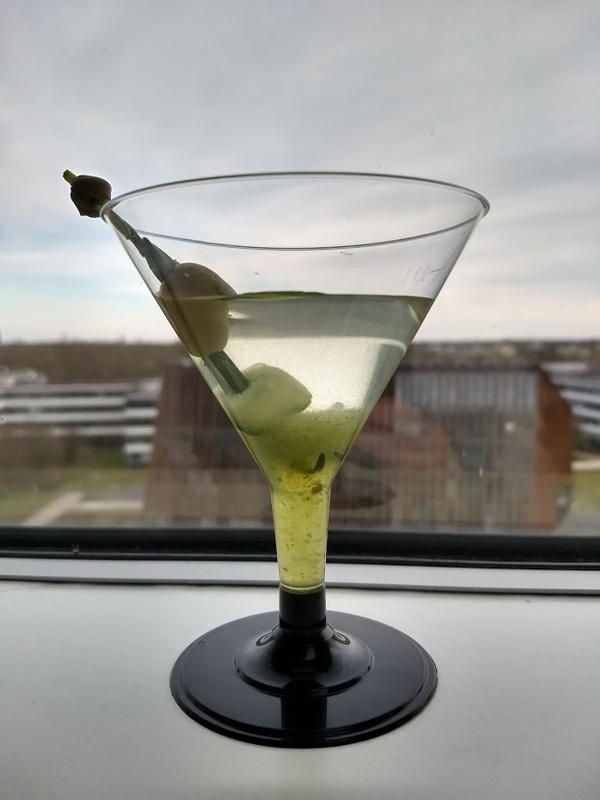 This first glance of the new MARTINI includes all the necessary files to perform CG simulations of phospholipid bilayers and proteins. In the near future, new models for other molecules will also be included in this open beta. So, continue visiting our website to be updated with the news. The main goal of this release is to get feedback from the scientific community. Reporting problems in our forum will help us in the improvement of the force field, which also increase the chances of your favorite system be properly working in the near future. Good feedback is also welcome for the sake of the developers. Be aware, the parametrization is still on-the-fly, which means that the CG models used (from the interaction between beads to the bonded parameters) can/will change until the release and publication of the definitive version. You can find the open-beta input parameters here. 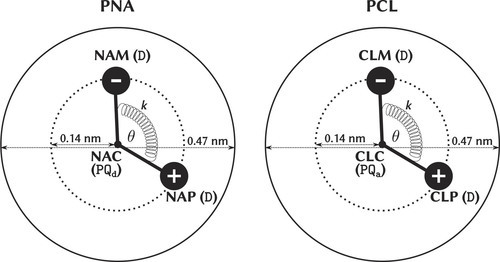 Experimental characterization of membrane proteins often requires their solubilization. 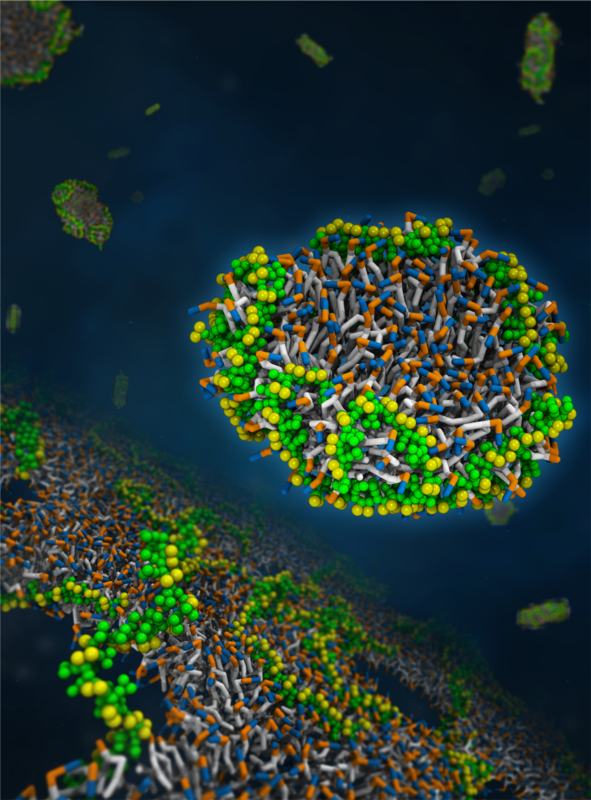 A recent approach is to use styrene maleic acid (SMA) copolymers to isolate membrane proteins in nanometer-sized membrane discs, so called SMA lipid particles (SMALPs). The approach has the advantage of allowing direct extraction of proteins, keeping their native lipid environment. Despite the growing popularity of using SMALPs, the molecular mechanism behind the process remains poorly understood. M. Xue, L. Cheng, I. Faustino, W. Guo, S.J. Marrink, Biophys. J., 2018, online.